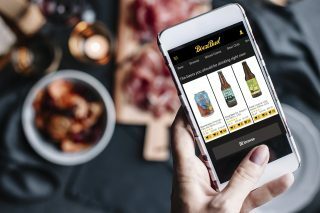 Ten businesses including online drinks retailer BoozeBud and keg tracking start-up KegIt have been accepted into the Lion Unleashed accelerator program. Created by Lion in partnership with corporate accelerator Slingshot, Lion Unleashed aims to open the Kirin subsidiary’s eyes to new growth avenues and collaboration opportunities, project lead Ed Massey told Brews News. Startup participants will exchange equity for up to $50,000 from the Slingshot Investment Fund, as well as receiving additional benefits such as mentoring, access to software and coworking space. Massey said Lion has the option of investing in the businesses at the end of the 12-week accelerator program, but is under no obligations. “There’s absolutely no commitments on that from either party. If we uncover a jewel, where they’re going benefit from better co-operation and investment from Lion, then we’ll look at that on a case-by-case basis,” he said. Online drinks retailer BoozeBud is among the ten successful businesses, selected from a field of more than 300 applicants. “The opportunities may be from better marketing collaboration and sales execution through BoozeBud as a customer of ours,” Massey said. Also accepted was KegIt, a new provider of software and technology to track kegs, primarily in the craft beer sector. 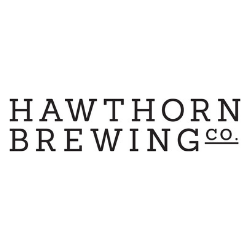 “As we continue to grow our craft portfolio, we understand that there’s a problem to be solved here in terms of tracking kegs from a venue and a brewery perspective. It’s obviously very core to where we operate,” Massey said. The final company that has synergies with Lion’s brewing operations is Tailor Brews, an online solution allowing customers to go online and create their own customised beer. Earlypay Exchange – A platform that facilitates and automates mass early payment negotiation between corporate customers and their thousands of vendors. Freight Exchange – An online logistics company offering interstate freight transport across Australia. Perkii Probiotics – Have released the world’s first water and juice drink with one billion microencapsulated probiotics and only 26 calories. Shoutback! – A fresh take on social coupons in the hospitality space. SmartSpotter – Crowd sources shoppers to provide real-time feedback and data on store promotions. SnackProud – Helps businesses bring healthier snacks and catering to the office to fuel good work. Tayble – An app for people who love to order, but hate to wait. Order, pay & eat without leaving your seat. Servicing bars, pubs, clubs and restaurants across Sydney. Participants will show the culmination of their work by pitching to Lion executives, stakeholders and potential investors on December 6, 2017.